FINE ESTATE & VINTAGE JEWELRY. 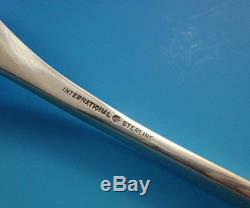 Vision International Sterling Silver Flatware Set 12 Service Mid Century Modern. 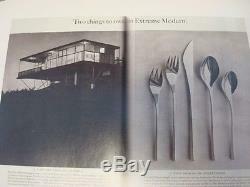 A set of vintage Mid-Century Modern International sterling flatware in the pattern Vision designed by Ronald Hayes Pearson patented in 1961. 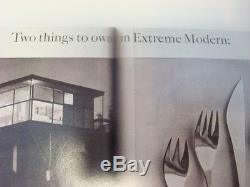 This discontinued pattern features clean, Modernism inspired lines and is featured in the book "Modernism in American Silver", THEIR AD STATED "MAKES A MODERN HOME ULTRA-MODERN" & NEW FORMS FOR A "SKYWARD AGE". 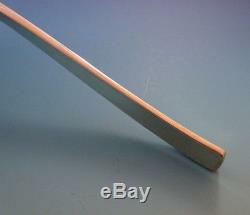 &###xA0;All pieces are very innovative with handles turned 90 degrees. This pattern was also used to set up the Moon Room table in International's exhibition at the 1964 New York Worlds Fair (SEE PHOTO). 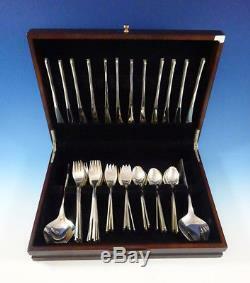 VISION BY INTERNATIONAL&###xA0; sterling&###xA0;silver Flatware set - 52 Pieces. 12 KNIVES (solid handles), 8 1/2. 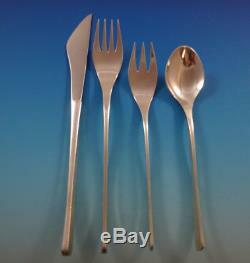 12 SALAD FORKS, 6 1/4. 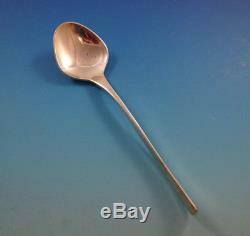 1 PIERCED SERVING SPOON, 9 1/8. 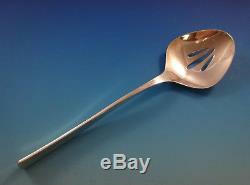 1 SUGAR SPOON, 6 3/8. 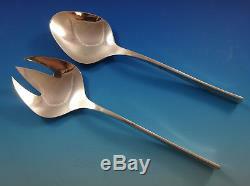 1 SALAD SERVING SET, 2-PC, IMPRESSIVE! &###xA0;&###xA0;&###xA0;&###xA0;&##xA0. &###xA0;Includes&###xA0;BONUS brand new storage chest. &###xA0;Excellent condition, no monograms. Customer service is the foundation of all that we do. We sincerely appreciate the opportunity to earn your business. How do I return my product? This listing is currently undergoing maintenance, we apologise for any inconvenience caused. The item "Vision International Sterling Silver Flatware Set 12 Service Mid Century Modern" is in sale since Thursday, April 7, 2016. This item is in the category "Antiques\Silver\Sterling Silver (.